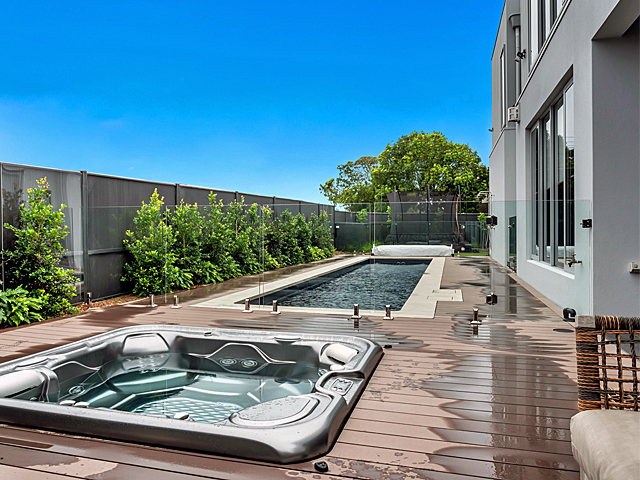 In order to conserve space, sports centres and recreational spaces are moving up and are being designed on building rooftops. 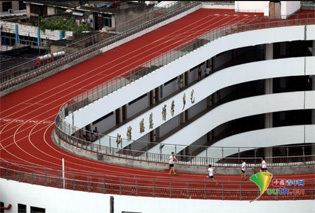 As cities scramble for land in congested built environments, schools across the globe are exploring multi-storey buildings where rooftops are utilised for sports and recreational space. 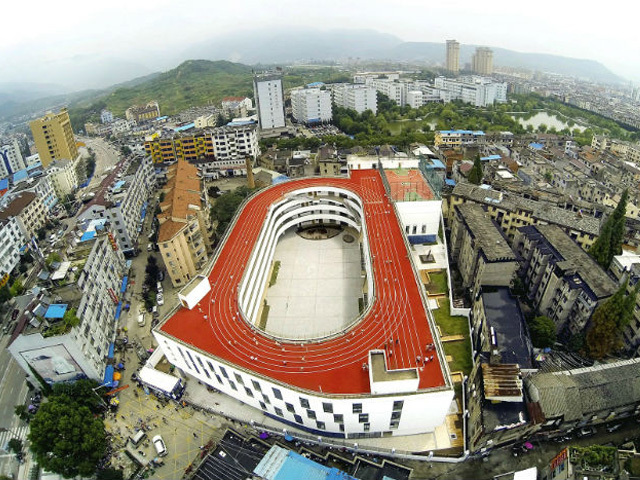 In the Zhejiang province of China, Tian Tai No.2 Primary School has opted to install a 200 metre running track on the roof in order to meet the physical education requirements despite lack of available land. 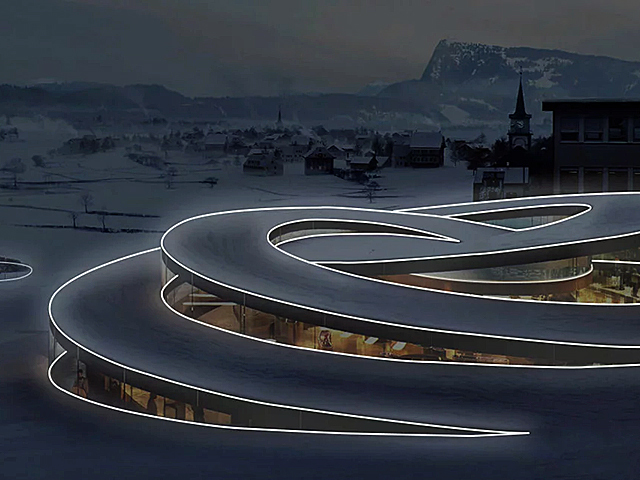 Designed by LYCS Architecture, the building’s shape closely follows the curve of its oval running track, with the track and inner courtyard taking up 3,000 square metres of space. 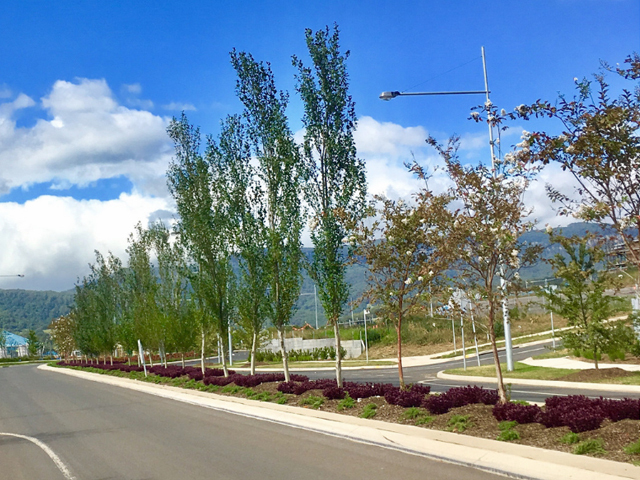 “In order to create more available green courtyard spaces, the building is twisted about 15 degrees, creating smaller pockets of space between the site wall and the exterior envelope,” a LYCS spokesperson commented. The track has three layers of guardrail for safety precaution. 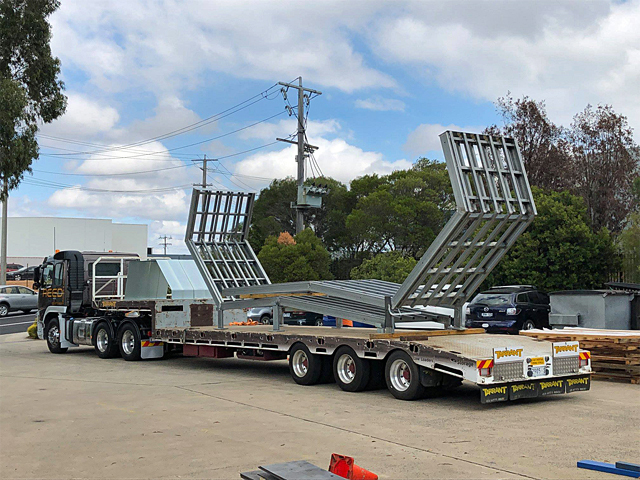 “The exterior layer is 1.8m high tempered glass wall, the middle layer is 50cm wide green belt, and the interior layer is 1.2m high stainless steel guardrail,” said LYCS. 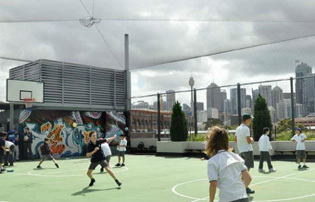 In Sydney, the International Grammar School’s Kerrie Murphy Building also utilises rooftop play spaces in order to conserve space. 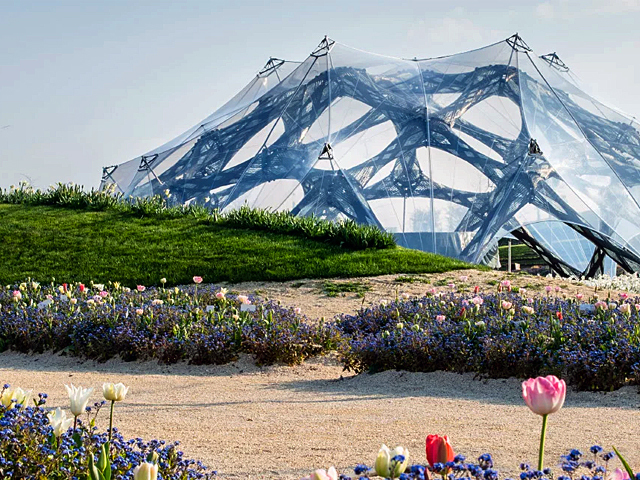 Designed by architects Allen Jack+Cottier, the school’s roof features an outdoor playground shaded by photovoltaic cells, ensuring every inch of premium urban space is used to full capacity. The building won highly commended in the World Architecture News Awards 2011 while coming first in the Commercial Energy Efficiency category at the Viridian Vision Awards 2011.